"8 threads test LED blink." 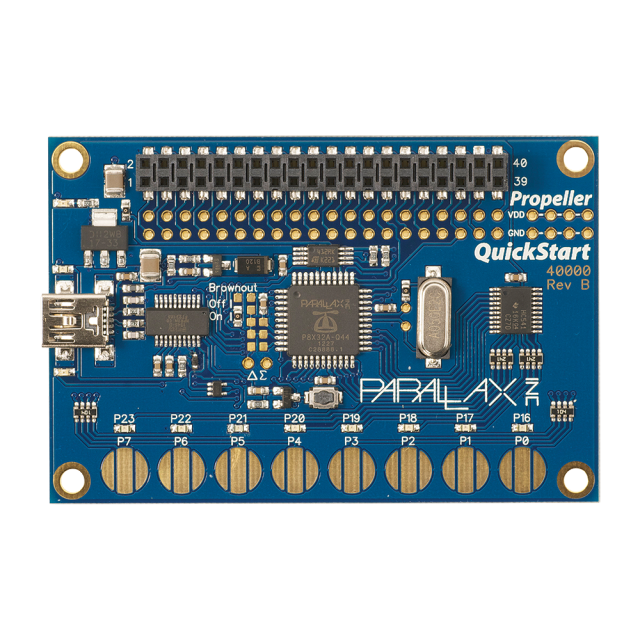 P8X32A QuickStart Board Product Guide. P8X32A QuickStart Bill of Materials. Propeller Quickstart Touch Buttons LED Spin Demo Code. Propeller QuickStart PCB Layout PDF. 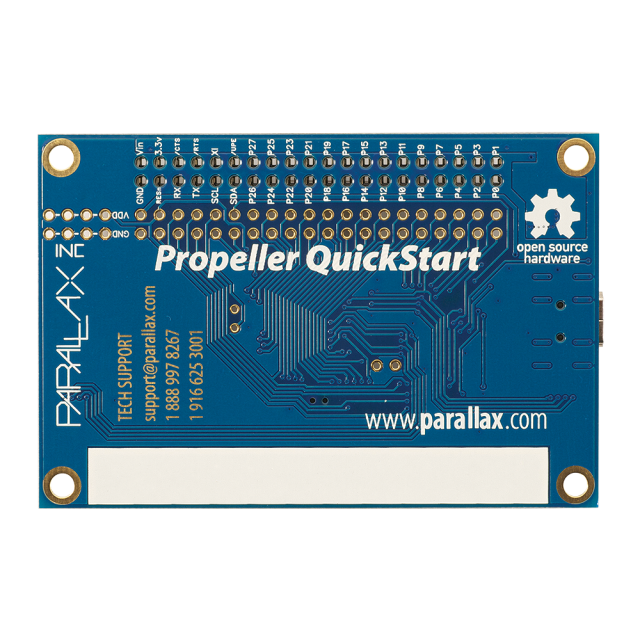 Propeller QuickStart PCB Schematic DipTrace. 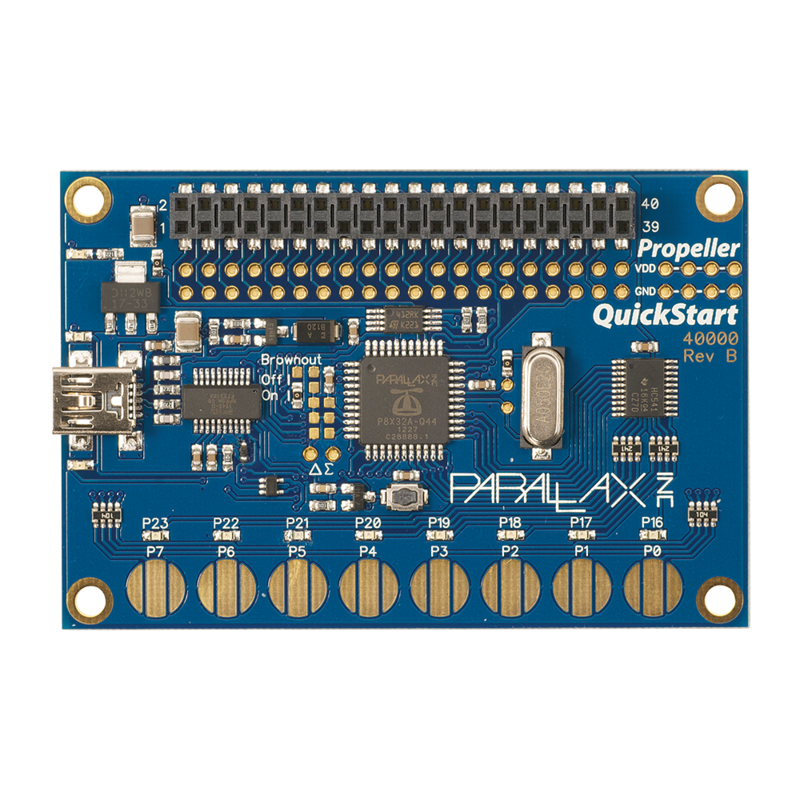 Propeller QuickStart PCB Layout DipTrace. Expansion header provides access to Vss, Vdd, 32 I/O pins. 5 MHz crystal on board may be disabled by removing SMT jumper, allowing replacement with external through-hole crystal. 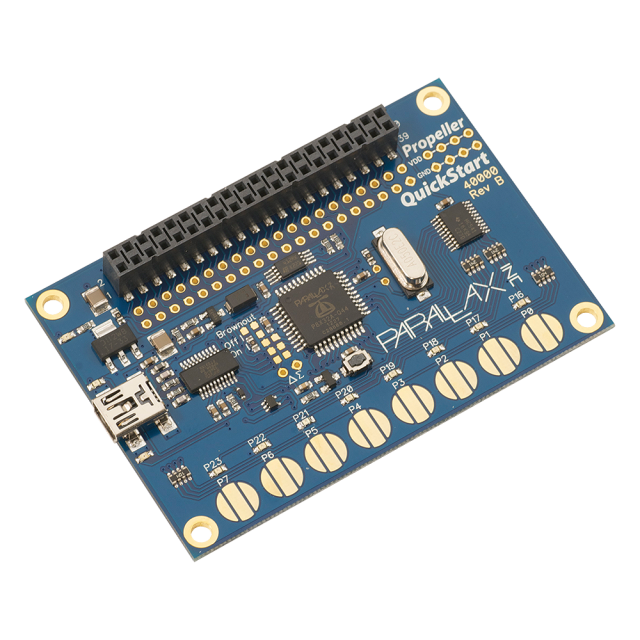 Open hardware reference design through our Altium and DipTrace PCB layout files (more export options may be possible). Bus-powered USB coupled with 3.3V regulator for 500 mA. 64KB EEPROM (32K for P8X32A program, 32K for general-purpose use). External brownout reset may be installed by removing SMT jumper. Pads for sigma-delta A/D circuitry (two resistors and two capacitors, both 0603) for using the Sigma-Delta A/D AppNote. Power Requirements: 3.3 or 4 to 9 VDC, up to 500 mA. Communication: USB, 3.3 V serial, I2C. Dimensions: 2.0 x 3.0 x 0.36 in (5.0 x 7.6 x 0.84 cm) mounting hole centers separated by 3.5 x 1.0 in (88.9 x 25.4 mm).